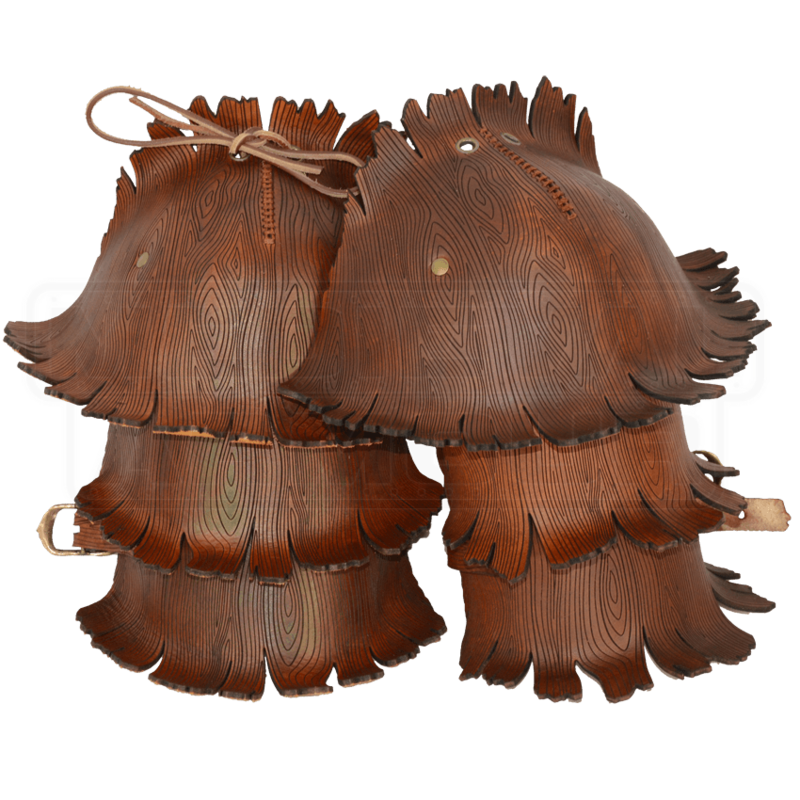 Shield your arms in true forestry style with the exquisite natural look of the Woodland Tree Bark Pauldrons. 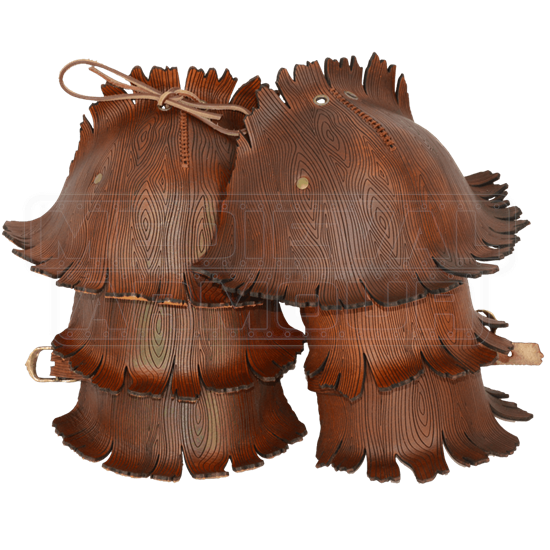 These intricately engraved leather pauldrons feature a spectacular wood grain pattern and curling edges to emulate bark. The flared edges provide protection from glancing strikes which would otherwise hit your neck. Molded to conform to the natural shape of your body, these pauldrons are nicely rounded and smooth. Two eyelet holes are featured at the top of the shoulder, allowing for attachment to most armour with the included brown leather lace. They also attach to the arm with an adjustable leather strap. For superb durability they are handcrafted from 7/8 ounce leather. An extraordinary piece, the Woodland Tree Bark Pauldrons are phenomenally complemented when worn with the Woodland Bolero Jacket with Hood (DK7012) or other woodland armour.